When Laycee Catalano, 29, and Gavin Hepworth, 30, married in this past May in Toronto, their wedding party had six bridesmaids, six groomsmen, three ring bearers and two flower girls. The hall for their reception had three chandeliers and gold decor. Catalano wore a Pnina Tornai dress she bought at Kleinfeld Canada and the couple’s 269 guests had the choice of two kinds of pasta at the pre-dinner buffet, which was followed by the main meal, a midnight buffet and, of course, drinks. The whole thing rang in at $65,000. She admits it was a lot of money. In fact, some of her guests weren’t prepared for the grandness of the event. That’s because Catalano is Italian-Canadian; her guest list pushed 300 people because she wanted to—and, in fact, was expected to—have her family and friends from across Canada and around the world there to celebrate the day with her. According to the 2017 Canadian Wedding Market Report, the average cost of a wedding is $30,000. And the industry itself is a $5-billion juggernaut that encourages couples to spend—a lot. After all, marble dance floors, living walls, “creative desserts” and customized entertainment don’t exactly come cheap. Plus, weddings just cost more than other parties. Last year, CBC’s Marketplace sent secret shoppers to 12 vendors in the GTA and found most charged more money when they thought they were quoting for a wedding instead of an anniversary party. And that’s not even taking into account the cost of throwing a “cultural” wedding. Food is always one of the bigger wedding costs no matter what culture you’re from, but at Italian weddings like Catalano and Hepworth’s, it was a particularly large part of the budget (there were two buffets and a main meal, after all). That’s common at cultural weddings, experts say. According to Lisa Wu, owner and lead planner of Wu La La Weddings & Events in Richmond Hill, Ont., the biggest ticket item in a Chinese wedding is the dinner reception. “Guests [may be] served with an 8- to 10-course meal, but it is usually the traditional 10-course meal that is served.” Basic menu items for a 10-course meal would includes a combination platter of crispy pork belly, roasted pork, beef shank, jellyfish and seaweed, conch, shark-fin soup, lobster and a dessert of red bean soup or sweet wedding soup. “For a table of 10 guests, the cost of the food alone can range from $500 to $1,200 per table or in other words, $50 to $120 per guest. This is not including the bar of course,” says Wu. Different cultures also have different wedding customs. Carmen Luk is the principal wedding planner for Devoted to You Inc., one of the first Chinese wedding planning companies in Toronto. She explains that Chinese weddings can be more expensive than traditional Christian weddings for several reasons, including the reception and vendors. For starters, Chinese weddings are 12 to 15 hours long, so the couple will have to pay staff overtime. And, “it is very common for Chinese brides to have multiple dresses on the day of the wedding,” Luk says. There’s also an extensive list of services and items that are required for a traditional Indian wedding, says Tajrean Kashem of Pickering, Ont.-based Taj & Raj Events. who has planned weddings with up to 1,000 guests. Pre-wedding events can add up—a bridal henna artist can run $300 to $650—and there are also additional “getting ready” costs, like sari tying artists, who usually charge about $15 per sari. (Trust us, this is absolutely a necessary expense.) At Hindu weddings, the ceremony requires a mandap, or altar, which is often draped in fabric and flowers. It can cost between $1,500 and $5,000, depending on how elaborate the decorations. As a society, we tend to think of big weddings as excessive, and sometimes even egotistical. But despite what the shocking number of wedding-themed reality-TV shows would indicate, weddings are more than the just the “bride’s day,” says Melanie Heath, an associate professor and graduate chair of the department of sociology at McMaster University in Hamilton, Ont. Historically, she says, “Marriage is not just about the individual, it’s very much about making family connections, and what kinds of rituals to include in a wedding ceremony. Traditional ethnic customs often compete with the packaging and promotion of the Western ‘white wedding,’ necessitating the need to compromise between cultural traditions and who to invite.” She should know—her ex-husband was Korean-American, so they had two wedding ceremonies, one that included the large, extended South Korean family and friends, and the other in a more intimate setting with only immediate family. But, even when a bride doesn’t really want a big, OTT wedding, family can be convincing. “I wanted to elope,” says 37-year-old Misha Lobo. 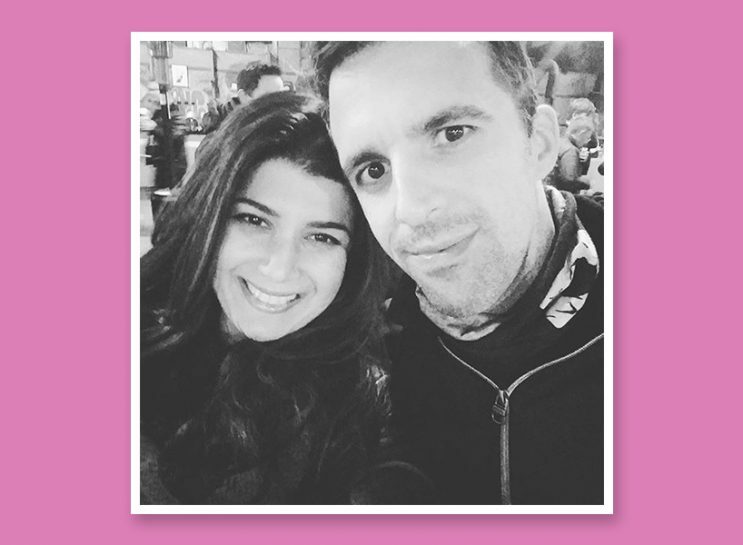 “I’ve always wanted to go to Las Vegas to get married at the Chapel of Love.” Instead, she and her fiancé Chris are having a big Catholic Indian-Italian wedding with close to 320 people this October and “mild panic has already set in,” she says. Lobo planned weddings when she was younger, so she knew how quickly things could get chaotic—and expensive. “I wanted to keep it tight and small,” she says. But, she’s the first daughter to get married and her fiancé is the first son to get married in Toronto, so their families are particularly invested in their big day. Plus, her parents had a list of 60 to 70 friends who needed to be on the guest list to reciprocate for invitations to their kids’ weddings. “And that was [keeping it] tight,” explains Lobo, who says that, though they wanted to indulge their parents, they have to keep costs down because she and her fiancé are paying for 90% of the wedding.